Prom can be a great experience, and these prom tips for guys can make it a fun and stress-free night that will be remembered long past high school. Prom is a once-in-a-lifetime event and is often the first formal dinner dance teenagers attend. Unfortunately, most of the prom advice out there is about choosing the best hairstyle, prom dress, and makeup for the big night - not exactly tips for guys. 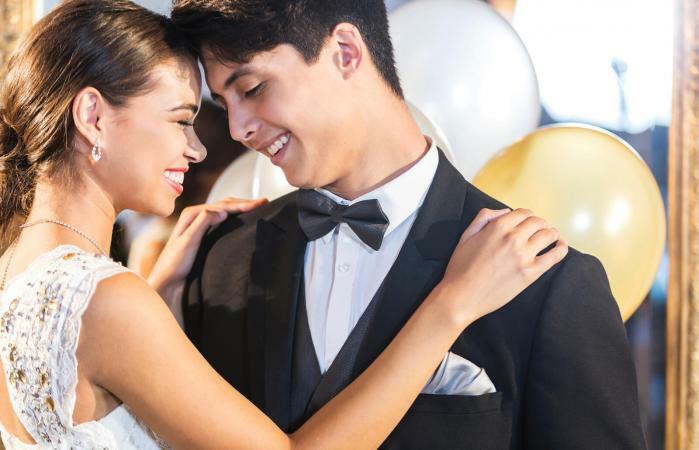 Yet prom can be a romantic night for a gentleman to spend with his special someone, and knowing how to plan for the prom, get ready for the big date, and how to wrap up the evening can help guys approach prom with confidence. Prom is a special night that should be enjoyed with someone you like spending time with. Find a date who you know you'll have a great time with and is easy to talk to. Whether you love to dance or not, take someone who would have fun just hanging out with you. You can consider taking someone as just a friend, or even ask a crush if you're feeling brave. Many people ask their dates to prom in fun ways to make this event even more memorable and to show their potential date how much they mean to them. Long before prom guys need to start planning, and these tips can help. Start saving money several months before the prom. Tuxedo rentals, transportation, dining, prom tickets, flowers, pictures, and other necessities can add up quickly, and a well-prepared guy will have a decent budget to work with. Tutoring, mowing lawns, and working after school can help you earn some extra cash to help pay for prom. Ask your date to accompany you to the prom at least a month in advance. Even if you have a steady girlfriend, ask for her company that evening to show her how special you hope the event will be. Buy prom tickets early. Most schools put tickets up four to six weeks in advance and some even offer an early purchase discount. Many schools limit the number of tickets sold and tickets may not be available at the last minute. If plans fall through and you can't attend, you can always sell the tickets to less prepared guys who didn't think ahead. If you are renting a prom tuxedo, shop early for the best deals and widest selection of styles. To make sure you coordinate with your date, ask her opinion on basic styles or colors, but feel free to experiment a little and add your own flair to your prom attire. When you rent the tuxedo, be sure it is sized correctly for a proper fit, and ask questions about any accessories you aren't sure how to use. If you will be attending prom with a group of friends, consider coordinating all your tuxedos for a sleek, fashionable look. Give yourself a few weeks to find the right tux that you feel the most comfortable in. If you will be renting transportation such as a limousine, consider pooling your resources with other couples to make it more affordable, and shop early for a reservation. Give yourself a few weeks to compare a few different company's pricing and select the best option for your group at least two weeks before prom. If you're nervous about dancing at the prom, arrange for beginner's dance lessons a few weeks before the event. These can also be fun dates with your prom partner and will let both of you polish your moves before hitting the dance floor. Make dinner reservations at least two weeks in advance if the prom tickets do not include a catered dinner. Choose a restaurant you and your date can comfortably enjoy - be sure to ask about any allergies or preferences she may have. You can also head to dinner with a few of your mutual friends and make it a fun couples outing before heading to prom. Two weeks before the prom, ask your date about the color of her dress so you can coordinate a matching corsage. If she wants to keep her dress a surprise, choose a corsage in white or with the school colors to be safe. Order the corsage as soon as you know the colors and expect it to take a few days to a week to make before you can pick it up. Get a new haircut or trim a week before the prom. Now is not the time to experiment with radically new styles, but a fresh haircut will look great on prom night. On the day of the prom, it isn't only girls who need time to look their best. Prom tips for guys on that important day include the following. If you aren't renting a car or limo, be sure the car you will use is clean and gassed up before picking up your date. You can get a quick car wash a few days before or do it yourself. Make sure to remove all trash and miscellaneous random items that have accumulated in there over time so your car looks nice and tidy. 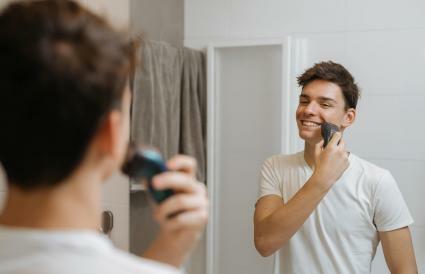 Attend to your personal hygiene carefully, including a shower, close shave, trimmed and cleaned fingernails, and other details to be well groomed for the evening. If you use aftershave or cologne, take care not to apply too much as some people are sensitive to certain scents. Be prompt to pick up your date and greet her parents politely. Be prepared to answer questions about your plans for the evening and be sure to ask about the evening's curfew so you can have your date home on time. It can be a nice gesture to drop off flowers or a small gift for your date's parents before you take off for the evening. Be polite to your date at all times. Prom is a great opportunity to be a gentleman. Pay attention to your date's needs and ask if you can get her anything throughout the evening. Compliment your date throughout the night and make her feel special. The best compliments are the ones that are genuine, so don't say anything you don't actually think is true. If you attend prom with a group of friends, it's fine to dance with other girls once or twice, but be sure to pay the most attention to your date and don't spend the evening hanging out with other guys instead. If you attend an after-prom party, be responsible. Avoid alcohol, continue to be a gentleman, and be sure you have your date home before the required parental curfew. If you end up dating this person in the future, you want her parents to remember you in a positive light. Always thank your date for a lovely evening and her wonderful companionship at the end of the night. If you aren't sure if she wants to kiss you goodnight, you can always ask if it's okay for you to kiss her. Return all rented items promptly to avoid late fees. Submit prom pictures to the yearbook if requested. Follow up with your prom date to let her know she's special to you all the time, not just on one night. With careful planning and the right prom tips for guys, even a guy who has never been to a formal event can enjoy prom with confidence and style.